Bennet P. Abraham Thiruvanthapuram LDF candidate 2014 profile and biography is given here. Being an Anaesthesiologist and a former member of the Kerala Public Service Commission, Bennet P. Abraham will contest the 2014 Lok Sabha election from Thiruvanathapuram. As a prominent member of the Church of South India, Bennet is ready to take on his rival candidates. Read more to know about Bennet. P. Abraham. Bennet P. Abraham was born to John Wycliff and Kamala Bai at Sreekaryam, Thiruvanathapuram. John Wycliff was a vigorous person who kept the living of the family higher working in the farm. Abraham is the eldest of four children who is much supportive to his brother and two sisters. After completing his schooling from Loyola School, Trivandrum, Bennet joined St. Xaviers College, Thumba for his pre degree education. He did his graduation in B.Sc Chemistry from Mar Ivanios College, Trivandrum. As a 1979 batch student, Bennet P. Abraham has done his graduation and post graduation in medical education from Christian Medical College, Vellore. Bennet was much active in sports especially gave interest in middle and long race. During his school and college days, Bennet participating in various events and had set records too. In 1986, after completing his course from Christian Medical College, Vellore, Bennet joined a mission hospital situated at Karakonam which belonged to the Church of South India. Dr. Bennet Abraham became the back bone of the hospital giving complete dedication to his profession. In the later stage, Dr Bennet got the support of his wife Dr. Jemela Thomas who had completed her DGO from Madras Medical College. After doing Masters in Medicine, Bennet and Jemela returned back to Karakonam. With the assistance of the Albany Medical Team (Georgia), CBM (Germany) and a couple of other charitable organizations, Dr. Bennet Abraham took the control of the hospital as medical superintendent which gave a real boost to its development. Through his consistent effort the hospital was turned into a medical college. Christened Dr. Somervell Memorial CSI Medical College, this hospital with 650 beds is owned by the South Kerala Diocese. Dr.Bennet Abraham and Jemela Thomas reside at their house in Sreekaryam along with two children, Nivin and Divya. Bennet has held various posts as a member of the advisory council of the World Anglican Health Board, founding member and trustee of the Swasthi Charitable Foundation and active member of the CSI synod. He has also served as a member of the executive committee of the Communion of Churches in India during the period 2010-2014. He has been in front giving leadership to numerous annual health programmes instituted in the rural and coastal areas of Thiruvananthapuram District. As a Anaesthesiologist and a former member of the Kerala Public Service Commission, Bennet P. Abraham will contest the 2014 Lok Sabha election from Thiruvanathapuram. As a prominent member of the Church of South India, Bennet is ready to take on his rival candidates. As an administrator, academician, Dr Bennet has lent his hands for the poor. He was honored with Dr Abraham P Koshy memorial Jana Chetana award initiated by the YMCA. 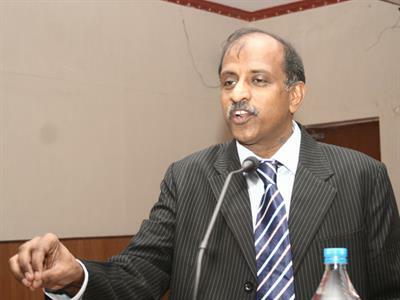 He currently serves as the director of Karakkonam CSI Medical College, member of governing bodies of Vellore Christian Medical College and Madras Christian Medical College. He enjoys the post of bring the treasurer of Communion of Churches of India. In 2014, Bennet P Abraham will contest the election from Thiruvananthapuram giving a tough competition to his arch rivals who represent the UDF, BJP and AAP.